In October this year, with Black History Month as a starting point, we set out to commission a series of cultural essays from Central Saint Martins students on the state of the arts in the public realm today. The first in the series comes from BA Culture, Criticism and Curation student Damilola Ayo-Vaughan. 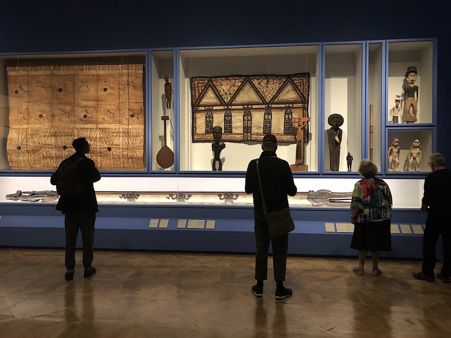 Here, he writes about the colonial lineage of international museums and the need for opening up dialogue around the histories of the world’s objects of value. A few weeks ago, I had a discussion with a friend about whether or not I will stay in England when I finish university. On this topic, a recurring reason for my desire to stay has been the ability to take my kids to institutions such as the British Museum and the Victoria and Albert Museum. The exposure to vast artworks these places provide, particularly to those from my home country of Nigeria, is something I have grown to cherish during my time here. Fortunate enough to be born with privilege, my thoughts on how to connect my future kids with Nigeria’s rich art history were simple: just live where a bulk of the art is. But, what about all the other children who had just as much a right to soak up this history but can’t afford to come all the way to England to view them? This conversation played on my mind as I was in the MayDay Rooms listening to heated discussions around Marilyn Nancy’s documentation of Festac ’77 – the Second World Black and African Festival of Arts and Culture which took place in Lagos. The focus of the discussion was how best to connect the youth of Nigeria to its rich cultural history. I was struck by the difficulty of sparking the imagination of the people when so many valuable artworks are kept outside of the country. The question of what to do with artworks from former colonies housed abroad is one that has been debated for a long time. This a question of repatriation: the return of art, usually ancient or looted art, to their country of origin. Museums are increasingly being faced with this – with calls to return artworks to their original homes becoming louder and louder. For example, the Greeks have long been requesting the Elgin Marbles to be returned to Athens. Many countries outside of the Western sphere have national museums with limited representation of their cultural history. If you go to Nigeria, there are barely any Benin Bronzes. If you go to Iran, it is the same story: few miniatures. Why? Because the artefacts are often more likely to be found in London or New York. This creates an art world where people who are not from Western backgrounds fail to identify with the richness of their own art history. Now, while it is true that these major institutions welcome citizens from different nations, allowing them to view a breadth of artworks and objects, the description of themselves as “universal” reads as an attempt to elevate themselves above reproach. Even more damning, museums solely from Europe and America terming themselves as important custodians of world culture resonates as being tone deaf. As George Abungu, former Director General of the National Museums of Kenya, asks in his response to the declaration: What is the foundation of their universal value? Are universal values based solely in Europe and America? Although we live in different conditions now to the past, it is ignorant to claim that they are not comparable. Issues such as neo-colonialism, appropriation and the lack of recognition of non-Western artists are still rife in the art world and society at large. 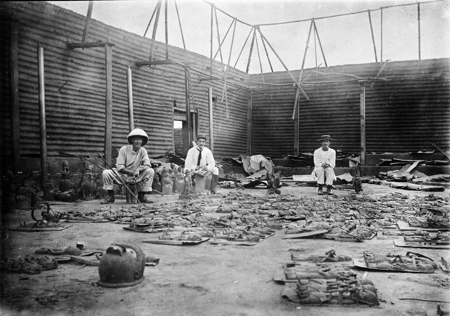 Some of the works displayed in institutions such as the British Museum and Louvre Museum are a by-product of looting, war spoils and colonialism. This cannot, and should not be ignored. To reference Edward Said, an important figure in postcolonial studies, European and American institutions cannot ignore the circumstances of their actuality with regards to works held as a by-product of such means. By necessity, these institutions encounter the works as European or American first, and as an individual or institution second; and to be a European or an American art institution here is by no means an inert fact. It means being aware, however dimly, that one belongs to a part of the earth with a history of involvement in the country of origin for the works in question. 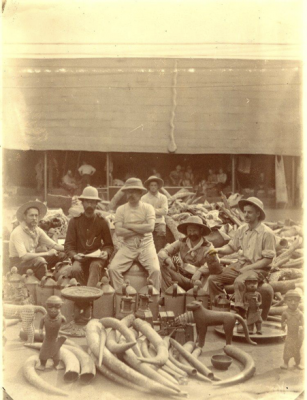 In the late 19th century, the British Empire raided the Kingdom of Benin. They portrayed the people as barbaric animals in comparison to the forward-thinking and well-cultured British, while collecting their elegant sculptures. This history cannot be separated from the presence of said sculptures within museums in present-day England. A frequent argument against repatriation is that major institutions are home to millions of visitors, thus allowing the works to be viewed by a huge international audience – something which may not be guaranteed if the works are returned to their home countries. Yet, this is a flawed, self-realising argument. Denying these countries the opportunity to house these artworks affects their ability to draw in international audiences. By having them on show in their national museums, countries like Nigeria and Egypt would be able to attract wider, international audiences. Aside from repatriation, dialogue needs to be encouraged and museums shouldn’t avoid the nature of the past or state their worth as “universal museums” to avoid reproach. Rather, I believe that art institutions should engage with the communities affected by these works – to understand the worth of the works within their own culture and history. A wonderful example of this can be seen in Oceania at the Royal Academy – an exhibition which serves as a powerful manifestation of how art institutions should interact with the history of the works in their own collection. So, this is what I would ask of the international museum community: Give works the proper space to be admired. Tackle their complex histories – the makers, the people and how these artefacts landed in your care. Open your doors to these communities, so they are able to come in freely and soak in their country’s rich art history. Reach out to their art institutions and find ways allow the local communities to interact with the work. The multiplicity of human experience is a fact not to be ignored. There is no one lens through which to view art. This should not just apply to the display of historical works. Spaces should be created for artists from different backgrounds to showcase their output, allowing people to see work which connects to their own everyday lives. As post-colonial theorist Frantz Fanon put it: “It is here that their souls are crystallized, and their perception and respiration transfigured.” In the future, I shouldn’t have to bring my kids all the way to England for this to happen.